The advancements in technology have allowed smartwatches to have more powerful chips, bigger displays and better battery life. Naturally, all of those improvements made them more desirable for consumers and in 2018 the smartwatch market grew significantly. We have a good idea about what transpired on the smartwatch market last year thanks to Strategy Analytics and their latest report. The report contains some expected results but also a couple of surprises, so let’s take a closer look. Starting with units sold first, we can see that Apple sold 22.5 million units of its Apple Watch (that includes older generations, of course), which is exactly half of what all smartwatch makers shipped in 2018. That’s quite expected, however, the company that comes second might be a bit of a shock. If you think Samsung is the second-largest smartwatch maker, you’re wrong! It’s actually Fitbit! While Fitbit shipped far fewer devices than Apple, “just” 5.5 million, those were enough to put it on the second spot, edging out Samsung with around 200,000 units. 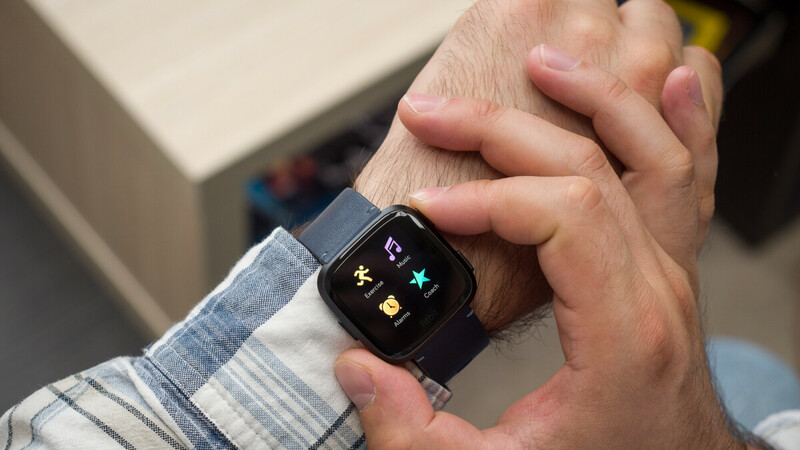 The impressive result comes mainly from the Fitbit Versa’s popularity in the States. The affordable smartwatch won people over with its awesome price-to-features ratio and cool software (check our review of the Fitbit Versa). Now let’s talk market share. Of course, the picture here mimics the units shipped category: Apple is again on top with its 50% market share. While that is quite a feat, the company actually lost more than 10% of the market in 2018. Almost all of that went to Fitbit, which managed to jump from a 1.7% market share to 12.2% one in 2018. Meanwhile, Samsung gained just over 1% to reach 11.8%. We expect Samsung to improve those numbers in 2019, as the company just launched its affordable Galaxy Watch Active which is meant to directly take on the Versa. We doubt Fitbit will sit and watch, however, so expect the competition to heat up. The fourth spot behind Apple, Fitbit and Samsung is taken by another known name in the tech world: Garmin. Garmin has secured for itself a decent 7.1% of the market, losing just 0.4% year-on-year. Combined, the top four have more than 80% of the global smartwatch market. Not that surprising, considering Apple alone has 50%, but still, it shows that making a good smartwatch is still a challenge. Even Huawei, which has a few models on the market and is the world’s second-largest smartphone maker, hasn’t been able to break through on the smartwatch scene. It’s still relatively early in 2019 and we’ve already seen some cool new smartwatches, who knows how things will be by the end of it. We’re definitely excited to see! Im Amazed there were NO Wear OS smartwatches released at MWC this year, I so want to upgrade my Huawei W1 with a new Slim Stainless steel Wear OS watch. No one really buys tablets anymore now that we have huge phones. And smartwatches are still too immature when it comes to battery life.